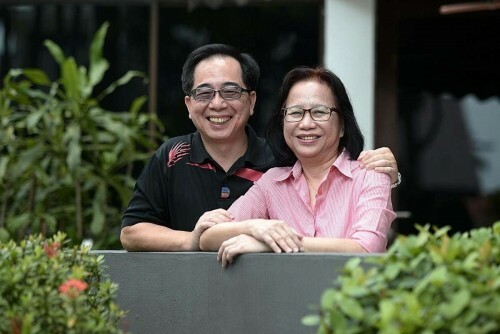 After 25 years working as a financial consultant, Ms Lisel Lee Ying, 61, took the plunge to join the social service sector about five years ago. Then, she had just recovered from breast cancer and she was thankful for the help from various support groups. 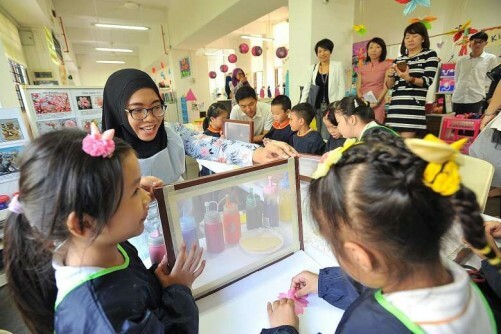 Looking for a way to give back to society, she took a suggestion by her husband - who works at a community service centre - to join the social service sector. Yesterday, her family of four cheered as Ms Lee, the oldest graduate in her batch, walked onstage in her graduation gown to receive her Diploma in Social Service from the Social Service Institute (SSI). SSI is the training arm of the National Council of Social Service (NCSS). Ms Lee now works as a programme executive at Potter's Place Community Services Society. The sector hopes to attract more mid-career entrants. Despite the growing demand for social services in recent years, there has been a manpower shortfall of about 500 a year, said NCSS deputy chief executive officer Fermin Diez. The sector currently employs about 16,000 people. "It can be difficult to enter the sector as a social worker or therapist, but they can always come in to help us in support functions," said Mr Diez, referring to mid-career people. He said the NCSS has been looking at ways to help ease even those in their 40s and 50s into the sector, such as by providing more specialised courses and a longer period of skills training. He added that of the some 250 people that the SSI helped to hire last year, about half were mid-career entrants. 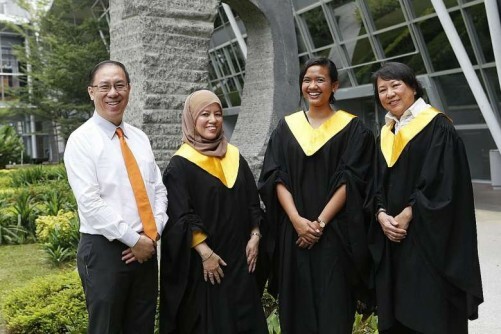 The sector will be seeing a further boost in the coming years, as this year's SSI Graduation and Awards Ceremony saw a bumper crop of more than 300 graduates and scholarship recipients . 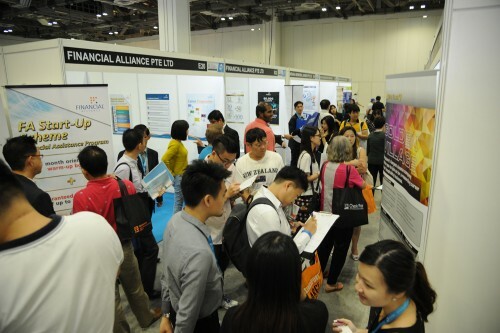 Held at the Singapore Expo, the event was graced by Acting Minister for Education (Higher Education and Skills) Ong Ye Kung. Said Madam Noraidah Haji Akib, 52, who was among the 49 recipients of the Higher Diploma in Social Service: "For me, the learning never stops. There are always new skills and knowledge I can learn to reach out to the elderly in my community, especially those who live alone." A total of 87 people were awarded the Diploma in Social Service, while about 100 individuals received scholarships and training awards, such as the Social Service Scholarship. The ceremony also recognised the inaugural batch of 26 participants from the ACE Capstone Leadership Programme for Non-Profits. It aims to equip senior leaders in the non-profit sector with skills in strategic planning and financial management. Said executive director of Family Life Society Paul Long, 52, who was among the participants: "My past careers were in sales and marketing and I was glad to realise some of the skills were transferable. After gaining more knowledge, I hope to contribute to the sector further."